This is a huge name for a water purifier. But did you notice the model name, it implies so many features of the LivPure water purifier. Yes, the model name indicates the purification process for the LivPure water purifier. 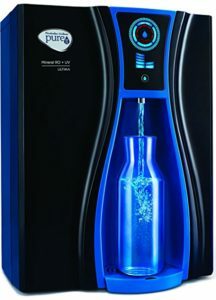 It is very similar to other models of the LivPure Water Purifier. The brand is a renowned brand in the country. The purification process is the long one, just like its name. It takes up to 6 stages to clean the water with zero particles leaving behind. The LivPure LIV PEP PRO PLUS water purifier ensures that every water molecule that is being stored in the water purifier passes through all the six stages making the drinking water extremely safe and pure to consume. There are some important features that every LivPure LIV PEP PRO PLUS buyer must know. Let us take a look at some of its benefits and the purification process that is integrated by LivPure LIV PEP PRO PLUS water purifier. LivPure LIV PEP PRO PLUS can store up to 7 litres of water in the storage capacity or the space provided within the water purifier. This water purifier can easily store and filter the amount of required water with the help of the high storage facility. It is one of the best high storage capacity for water purifier. The sediment filter is a foremost hurdle for any water molecule and for the germs, viruses, and bacteria that have to pass through. Sediment filter blocks all the solid, visible and larger dirt and impurities stopping them from going through the important water purifier. Hence, this sediment filter has indirectly helped the water purifier to enhance the performance and the life of it. Water from different sources can have chemicals, germs, pesticides and a lot of dust and dirt present in it. The pre-carbon filter is the second stage of the LivPure LPPP water purifier. The activated carbon filter of this water purifier absorbs the whole of this dirt and chemicals from the input water and the water resources making it completely safe to consume. The pre-carbon activated filter not just eliminates these particles and impurities but also removes all sorts of bad odor-causing bacteria and sour taste from the water. It can be called as a taste enhancer. Yet, the water is not been cleared still. The antiscalant cartridge helps each and every water molecule to get rid of Total dissolved salts also known as TDS. TDS levels can be found in every water source such as tanks, borewell, pipes and a lot more. TDS levels can be present up to 500ppm in these water sources, but not more than that. More than 500ppm of TDS levels can cause various types of water-borne health effects. The Antiscalant cartridge can simply increase the span of RO Membrane, by reducing all the types of TDS levels from the water. Once the Antiscalant cartridge has finished its job, the RO membrane will start the process of removing the dangerous and harmful pesticides residuals, chemicals, unnatural water treatments and other heavy metals such as arsenic, lead which are very dangerous if consumed by children. RO membrane removes the virus and bacteria as well from the water sources, making it completely pure and safe to consume. The 90% pure water will now go through the Ultraviolet disinfectant space where the filtration removes the marks of bacteria and viruses too. This stage makes the water microbiologically healthy and safe to drink. The final stage is of Ultrafiltration cartridge that will make the water healthier and safer by eradicating the chemical traces and marks of cysts and viruses, suspending other heavy metals completely from the water. After all these stages of water purification, the water purifier helps in enhancing the taste of water with silver impregnated carbon filter technology by removing all sorts of unpleasant odor, dirt and impure color of the water. LivPure has always been one of the most preferred brands by the Indian consumers. Though it is a great brand, you have to check everything about the piece and the model that you are going to buy in. 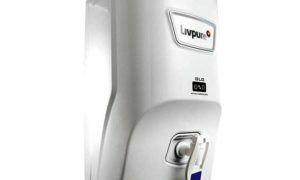 LivPure PEP PRO PLUS water purifier is the newly launched purifier for the Indian consumers. There is more to this review, you can also check out the LivPure Water Purifier Price List. LivPure is one of the popular growing consumer durable brands in the Indian market. You might have come across many brands out of which LivPure Glo is one of the top LivPure models with the highest selling technology. It is specialized in Reverse Osmosis and Ultraviolet technology, which is the most preferred technology all over the country. There are some extraordinary features of this top quality Water Purifier from LivPure brand. It has a lot of special features such as a switch on facility, complete tank fill and a lot more. The LivPure Glo is very capable of filling and storing up to 7 litres of water from any of the water sources such as borewell, water tank, municipal tanks, and other pipes and taps. LivPure Glo Mineralizer water purifier can easily store up to 12 litres of water in an hour. The input water contains different types of contaminants and impurities including the Total dissolved salts. The sediment filter is front foot player in the water purification process. The filter acts as the best source of dirt particles remover from the input water and the water source. The suspended particles and the visible particles are removed completely from the water source making it safe and healthy to consume all day. Sometimes, the chlorine in the water can cause a lot of side effects (not to everyone, but some). Treating water with chlorine is good, it makes water safe, but not for consuming it. But the water purifiers that you install in your kitchen will have no side effects or allergies, like chlorine water. Pre-activated carbon filter helps in removing the chemical residues and the pesticides that were used to make the water pure. This stage arrives before the RO membrane phase. The very main stage of LivPure Glo Mineralizer water purifier is the RO membrane, also known as Reverse Osmosis Membrane. The RO membrane kills and kicks out the heavy bacteria and germs that can cause flu diseases quite easily. RO is also very advanced in removing the hardness of the water, by eradicating the heavy substances from the water. UV disinfection is another purification stage that makes the water safer by rechecking the traces of the dead bacteria and microbes. The impregnated carbon filter improves the taste of the water by removing its unnatural odor and color. Mineralizer is the final stage that makes the water safe by retaining all the essential elements such as potassium, calcium and other significant minerals that were removed during the RO membrane purification. Buy LivPure Glo Mineralizer water purifier today! LivPure is the most preferred brand by the Indian consumers. The brand is the trustworthy and a reliable one. It has integrated many latest technologies and latest features in its water purifiers. Check out the differences between RO vs. UV vs. UF to know more about purifiers. Previously, we used clothes and mesh filters to remove the dust and heavy visible chemicals that were present in water. Chemical like alums can be used to remove the sediments, even boiling is also a way to remove the sediments, but germs and bacteria will, however, return when the water has become warm or cold. Hence, you cannot let the germs attack your pure water. So, here the Water Purifier plays its role. The RO and UV filters have completely changed the industry and the market in no time. Hence, one of the best water purifier brands LG that uses this ultimate technology. The below listed are some of the best LG water purifiers price list in India. 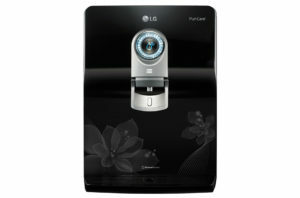 The WW model is the recent player in the Indian market from the renowned brand LG. It has various features which give out completely fresh and pure water to you. WW series is integrated with 5 stage water purification and filtration technology. Every molecule of input water has to go through this ultimate and a high-quality purification process which kills and removes out the germs and bacteria to an extreme extent; throwing out of the water. It also has other stages such as Reverse Osmosis membrane, carbon activated filter, and a fine mineral booster. Mineral booster kicks out the dangerous chemicals and hard pesticides ensuring significant minerals such as potassium, calcium, and magnesium that are essential for every human physique. The WH series is another make from the brand LG offered at best and an affordable price for their customers. It arrives with single touch hot water, cold water, and normal water dispenser. The WH model is one of the water purifiers that work on resulting hot-cold water. It runs between the temperatures of 5 degrees to 90 degrees C. With the help of hot water dispenser you can simply cater smoothies, tea, soups etc. in just a single click. The purifier runs on RO filtration which is a five-stage water purification process. Starting from the pre-filter cartridge- which caters the large impurities, to the Post-carbon activated filter that takes care of the taste and odor of the input water. WW160EP was the first ever model of the whole WW batch from LG water purifiers price list brand. We all know, LG is a well-known brand in the Indian market. The home appliances they offer are fantastic, ranging from the LG smartphones to recently launched LG smart TV, all of their products are still at the top list in the minds of the consumers. It is a five-phase water purification process, which gives completely pure water to you and your family. The pH level in the water is taken care by the Mineral booster technology in the machine. After the filtration process, it simply retains the significant minerals that are essential for the growth and development of the human body. The WAW is the highest quality of water purifier from the LG brand in the Indian market. WAW series is one of the true Reverse Osmosis filtrations which ensures that every water molecule passes through the five-stage water purification process. You will also notice the air strong tank sealing cover specially made for the steel tank in the water purifier for the storage purpose. This sealed cover helps in managing the freshness removing the bad odor from the water. The WAW series arrives with the storage capacity of 8 litres. This capacity takes care of the water storage when there is an outage or shortage of water. LG is one of the most renowned brands in the Indian market. It has always given the best of its product with the latest technology. It is already known for its other electronic consumers durable such as smartphones, refrigerators and a lot more. LG water Purifiers price list can be viewed in their respective websites as per the model you need. In case you want more options in life, check out Kent Grand plus Reviews. Do you think, you are getting a pure water all day? That’s not possible, we might drink boiled water at home, but it’s not possible to get pure water everywhere with our daily routines. So, here or there, we fill our body with at least a glass of contaminated water. So is that healthy? It’s a big no. Unfortunately, we, humans are the ones who contaminate the water- make it impure with rampant human waste and industrial impurities. No doubt, these contaminated waters are a space for the germs to get settled and spread diseases like typhoid, jaundice, diarrhea and what not! So, how can you remove these kinds of impurities from the water? Is it possible? There are en number of water filters in the Indian market that will lessen your purifying workload giving you pure and fresh water. 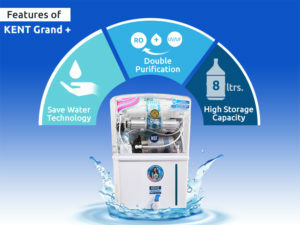 One of the best Water Purifiers among is Kent Grand Plus. Kent Grand Plus is integrated with its own patented Mineral Technology that arrives with the latest technology TDS modulator and controller. It also features with UF and UV water purification and filtration as well. The purification technology includes the sediment and the pre-carbon activated filters that will finish off with the entire water filtration process. With this technology, you will get completely filtered and safe water. As mentioned already, that the Reverse Osmosis technology spills up to 50% of the input water with zero water spillage of leakage issue. It focuses more on the water resources contributing heavily to the drainage crisis. You can make use of the wastewater for other household purposes. So directly or indirectly, the water is not getting wasted. The rejected water in the Kent Grand Plus is stored in a separate tank, which you can withdraw and use it for other cleaning and gardening purposes. Kent comes with a high storage capacity that allows up to 8 litres of input water within the purifier. It is enough to provide with very pure and clean water whenever you are willing to have it. The storage capacity serves many joint families in India. Kent is the known brand in the country. The brand has a reputed name across the country. You know that the ISI is the Indian recognition for the brand excellence. Kent has been certified by ISI, CE from Europe, NSF from USA and WQA by USA and India. The water purifier has an 11 watt UV bulb is strong and powerful enough to destroy the most effective microorganisms, microbes, and bacteria from the input water and the water resources. This protects you and your family from water-borne diseases. Kent purifier can purify the water from various water resources such as tanks, borewell, municipal tanks and taps. The product is made out of ABS plastic with the Food Grade safety material which makes the water effective and durable for a longer span. Hence, now you know everything about the brand and its water purifiers. Don’t wait, choose your Kent Grand Plus, one of the most popular models that are bought by many Indian homes. 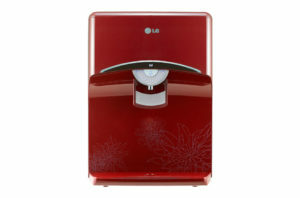 For information regarding other affordable LG Water Purifiers Price List or more just check out our other posts. Of course, almost every river in India is polluted and have become entirely unfit for drinking. Humans and other industrial wastage create the mess. When these waters are connected to taps and tanks- of course, those are filtered by the concerned authorities with the help of technology, but do you think it would be perfectly clean? Clean water is a basic necessity for every living being. Hence, it is necessary to purify the drinking water once by us as well. You might have come across many water purifiers in our country, but one of the Best Water Purifier– still preferred by Indian homes is HUL Pureit Ultima Water Purifier. 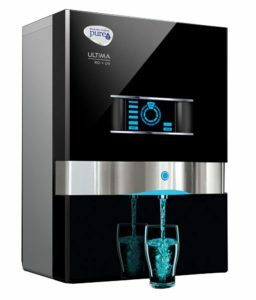 Why HUL Pureit Ultima Water Purifier? HUL Pureit Ultima is the right choice for every Indian home as it functions on RO plus UV technology. The RO-UV technology will reflect the extent of purity of the water that you are consuming. The purification system can easily consume enough water a second. You can certainly get your germ to kill it packed along with your water purifier. HUL Pureit Ultima water purifier has a digital display panel that shows the quality of the water and the state of the Germ kill kit. Just like the RO purification system, UV filtration system results in the pure water. There are some microorganisms and harmful bacteria that peeps through the membranes. Hence, it is a requirement to purify the water completely. The UV lamp helps with the extra purification of the input water, which completely eradicates the harmful microorganisms and bacteria giving fresh-clean water. This is kind of a filtration stage in the water purification methodology. The RO purification system makes sure that the TDS is controlled or thoroughly washed out from the input water by making the water fully safe to drink. TDS remover sometimes may remove some essential and healthy elements that every human body needs such as calcium, magnesium, and potassium etc. TDS modulator in any water purifier ensures that these essential minerals are not eradicated from the water but only the harmful elements. This is the last stage of water filtration also known as Post RO Carbon filter. Once all the other filtration stages have been finished, this process enhances the taste of the water input. It acts as a polishing agent by removing the harmful chemicals and substances from the water. HUL Ultima Water purifier- Your perfect health-guard! Ultima- as already mentioned, is one of the preferred brands in the Indian market. HUL is one of the top-notch market leaders when it comes FMCG goods. Hence, Ultima is one of the best production that again makes the company stand out. We often get questions like what’s the Difference between TDS controller and Mineralizer? Guess you simply have to check out the link to know.